A rounded and backed case binding gives your spine a classic rounded shape. This older style of bookbinding was used to accommodate hand-sewn signatures and build a shoulder and hinge for the boards of the cover. 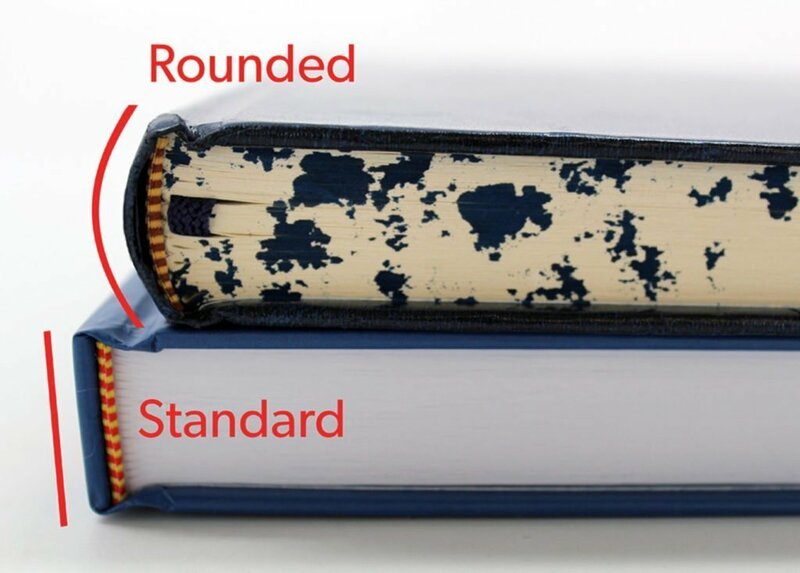 Modern rounded spines are more of an aesthetic choice that can give your book a classical old world look and feel.